Bentley Archives - Muscle Cars Zone! This Guy Bought The Cheapest Bentley Continental GT in the US! 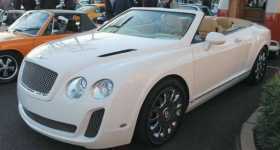 Bentley Replica For Just $36,000! Would You Buy It? 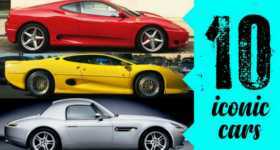 The Bentley Azure Has Lost $3.61 EVERY HOUR Since 2007! This amazing luxury car Bentley Azure has lost around $3.61 every hour since the day it went out from the dealer’s showroom. That’s around $300.000 lost value over 10 years. Crushing Bentley GT In A Car Compactor! 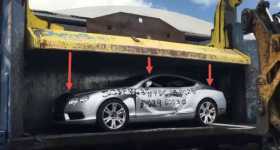 It is very hard to watch this video with the crushing Bentley GT inside a car compactor somewhere in the USA. 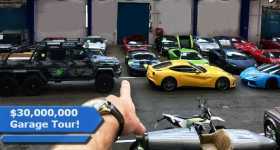 POV Walkthrough Inside The Most Expensive Garage In The World! 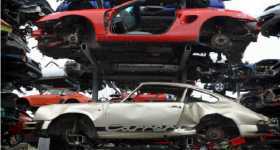 All this time, Nuremberg has had a little secret – it`s the home of the most expensive garage in the world! 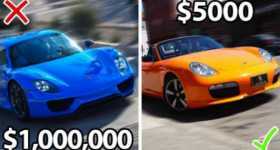 Top 10 Crazy Bentley Cars Fails!